Put salt on a flat plate. Halve lime and rub halfway around the edge of the serving glasses with cut-side. Dip lime-coated side into the salt to create a salt rim. For the currant syrup, juice the lime into a small saucepan. Wash the currants and add to pot with water and sugar. Bring to the boil, then lower heat and let simmer for approx. 5 min. Pour the syrup through a sieve and allow to cool. 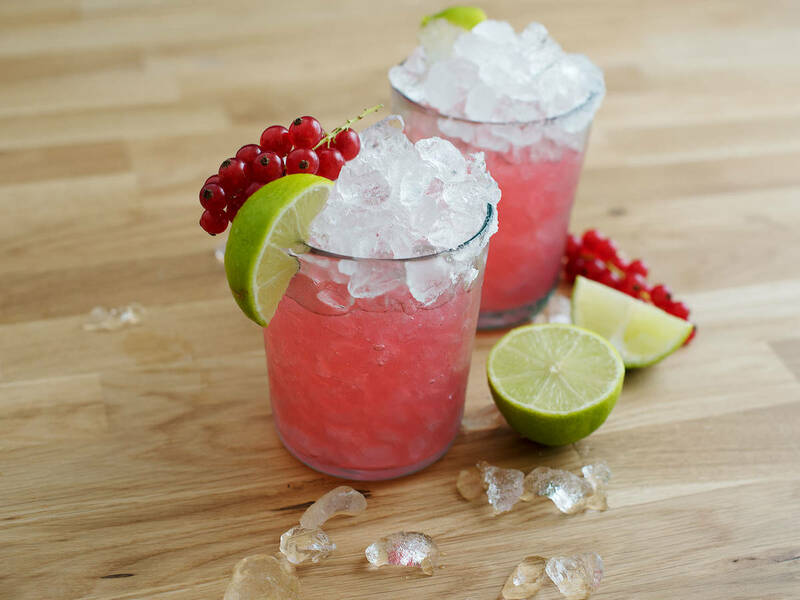 Add Tequila, Cointreau, some currant syrup, and a handful of ice to shaker. Seal tightly, shake vigorously, and divide among glasses filled with crushed ice. Garnish with lime and fresh currants. Enjoy!